The experts at Speed Clean Services can deep-clean your upholstered furniture, to awaken it back to its original state of color and freshness. Restore the elegant beauty of your favorite upholstered furniture. See it richly textured and colored once again and a compliment to your good taste. 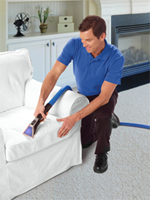 Experienced, well-trained Speed Clean Services knows how carpet upholstery cleaning machines are necessary to perform a face lift on your home furnishings. From sofas and love seats to mattresses and pillow cleaning, only professional home upholstery cleaners will be able to provide the deep cleaning treatment, which will allow you to enjoy your home furnishings longer. Speed Clean Services specially qualified technicians will identify the exact fabric type of each upholstered piece and then select the safest and most effective cleaning method to guarantee extended furniture life and complete customer satisfaction. We will test a small patch of your upholstery to make sure the fabric and color remain intact before we start the job, taking into consideration factors such as color fastness and dimensional steadiness -we want to be 100% positive you'll be delighted with the results. • On or off premises cleaning and much more! Speed Clean Services provides a complete leather cleaning service. We apply leather cleanser to remove all traces of soiling from the surface of the leather hide. No matter what, Speed Clean Services will suggest a price for each type of service, according to the complexity of the job. Standard upholstery cleaning is priced affordable, while cleaning more complex fabrics requiring special treatment is priced fairly and accordingly. 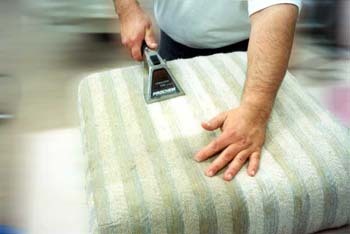 You can count on Speed Clean Services to renew your upholstered furniture. Bestow your furniture's care with the best and most knowledgeable upholstery cleaners in Macomb County. Our home is our pride and joy, and most of us spend hours and hours each week to keep it looking very nice. However,there are things that we can’t see that are lurking in our homes. While they aren’t fun to think about, taking action against them can literally help you to get a better nights sleep.